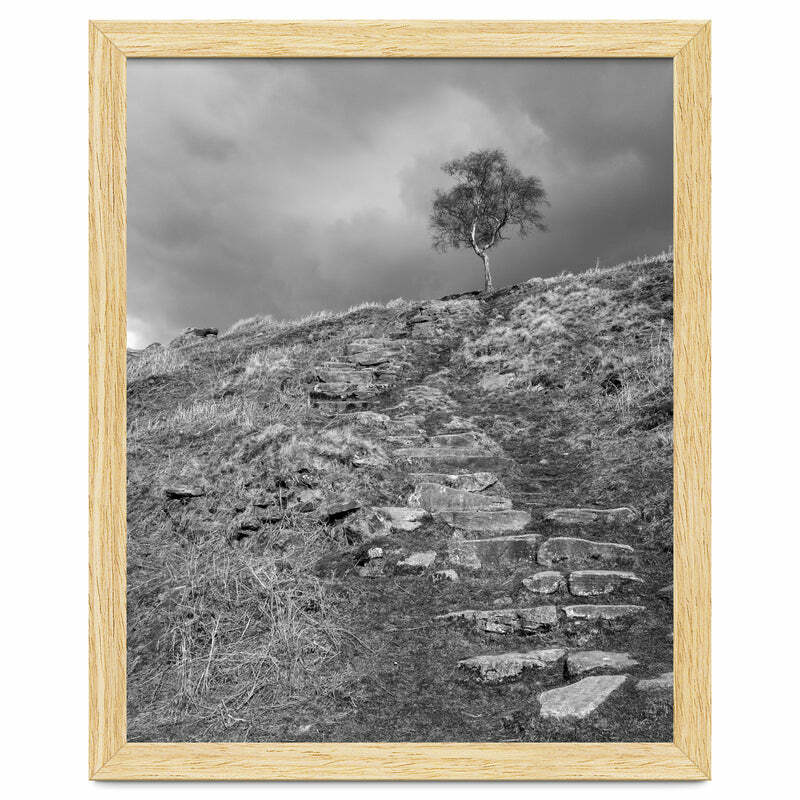 Classic monochrome landscape. 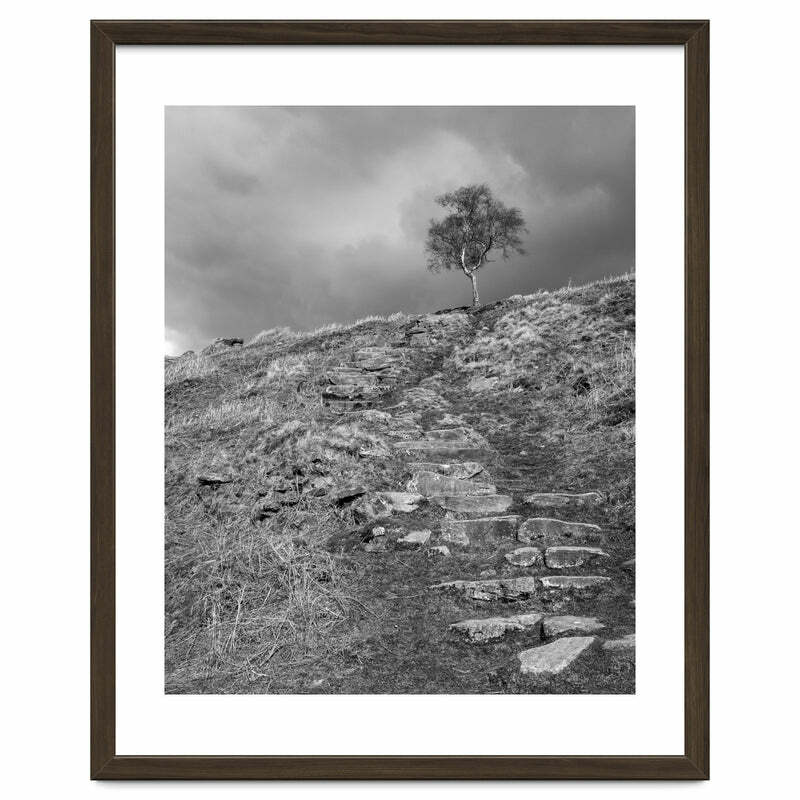 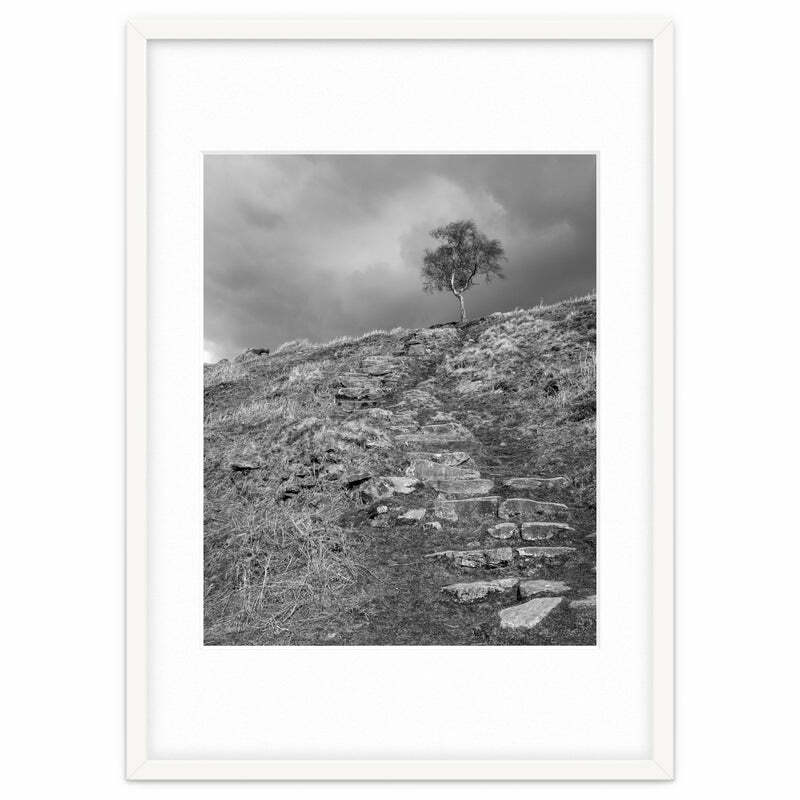 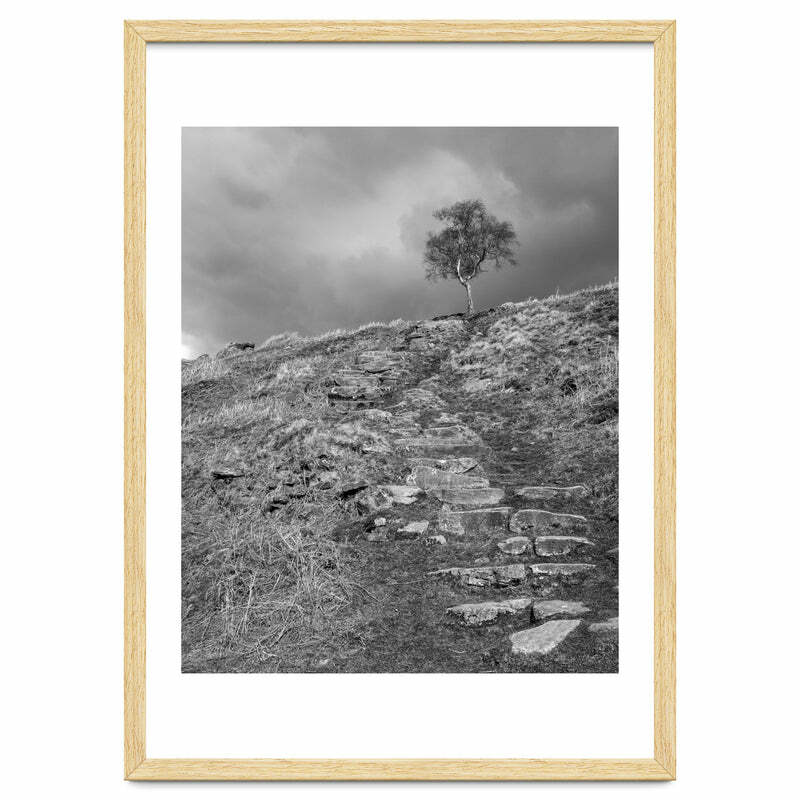 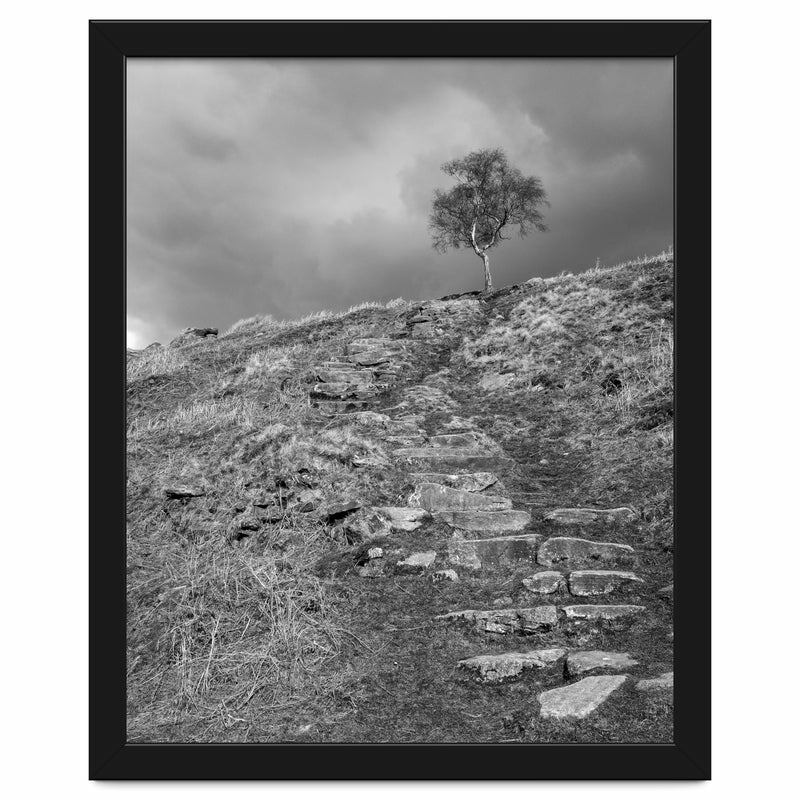 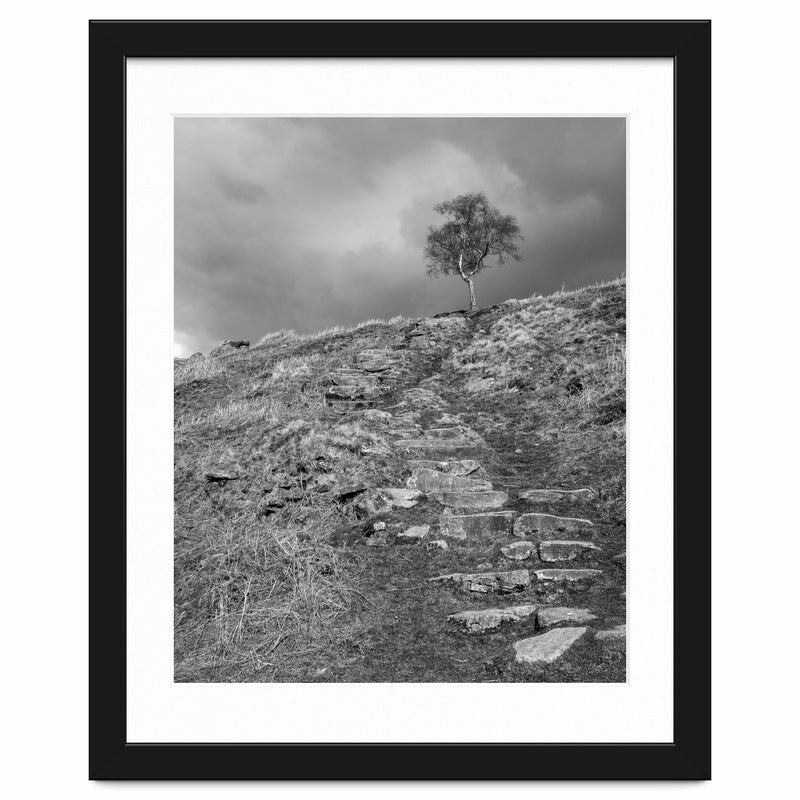 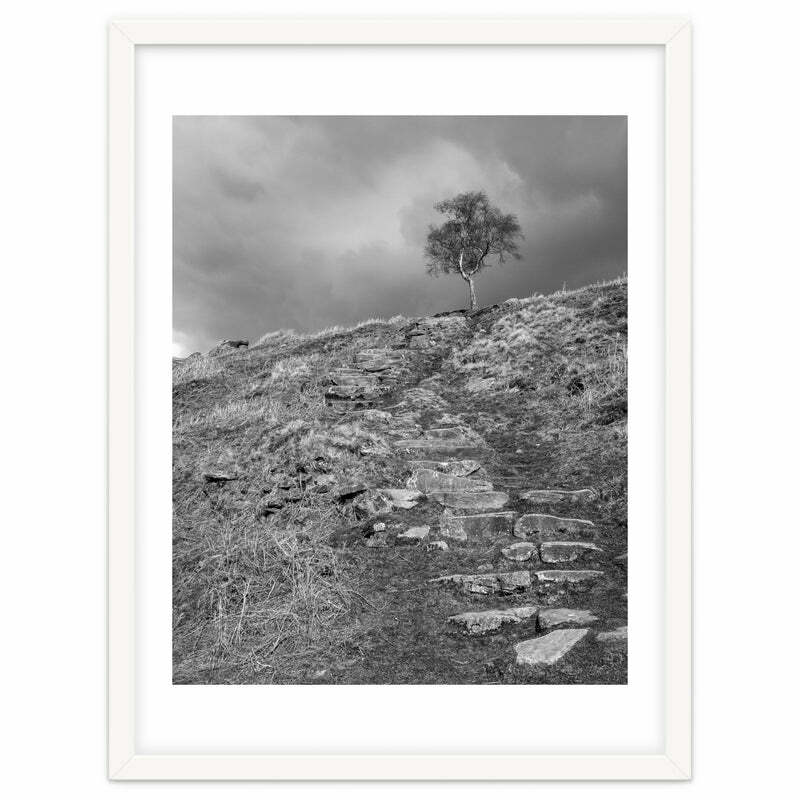 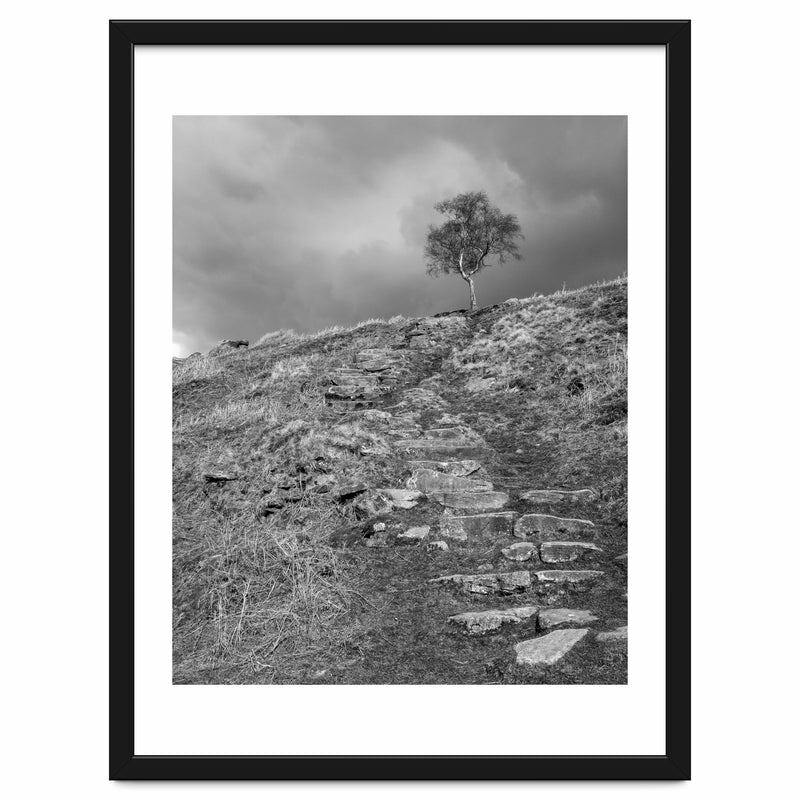 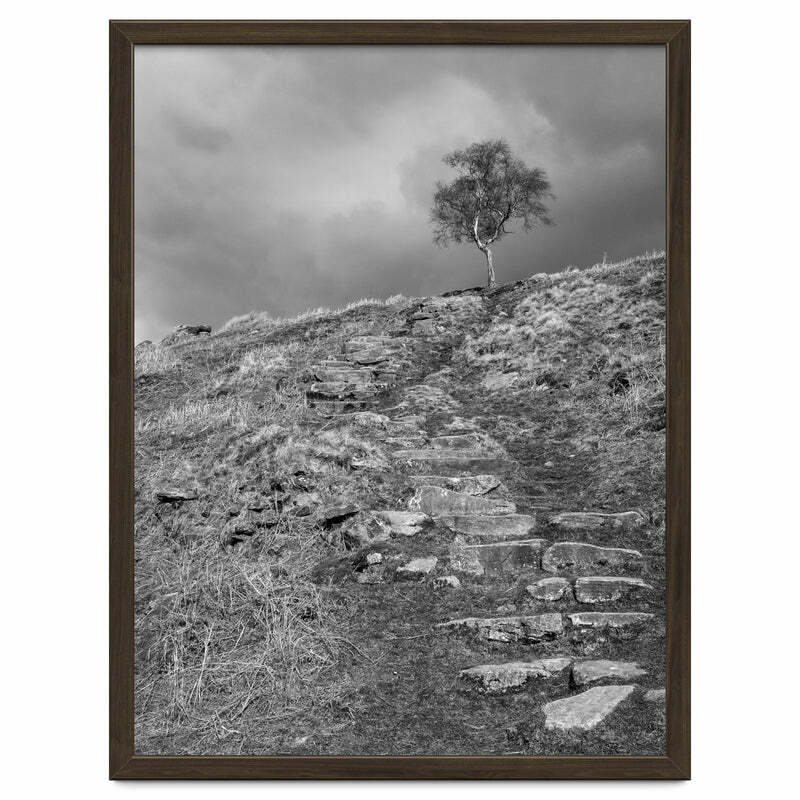 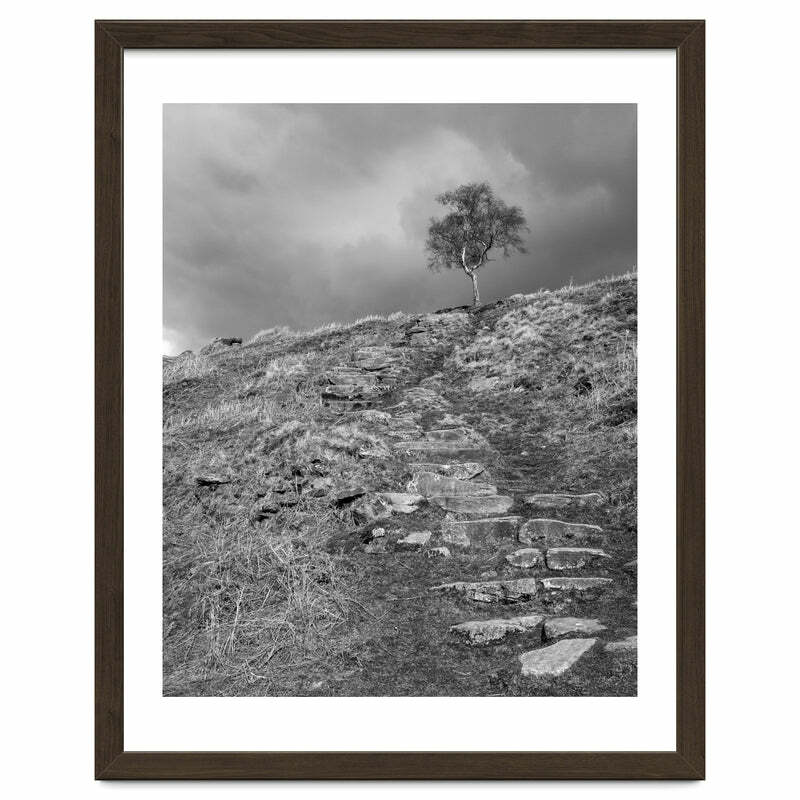 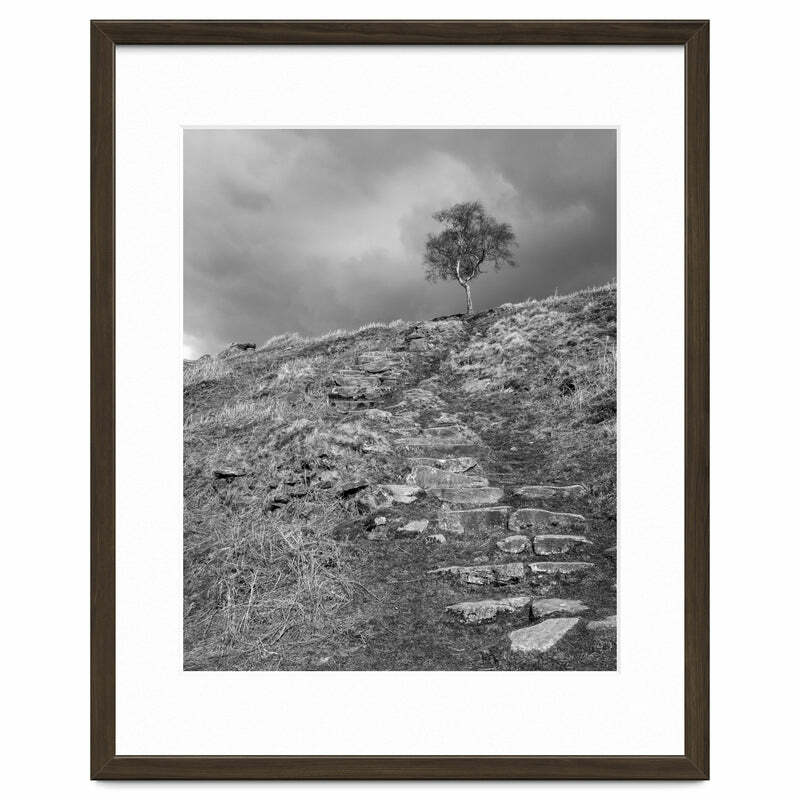 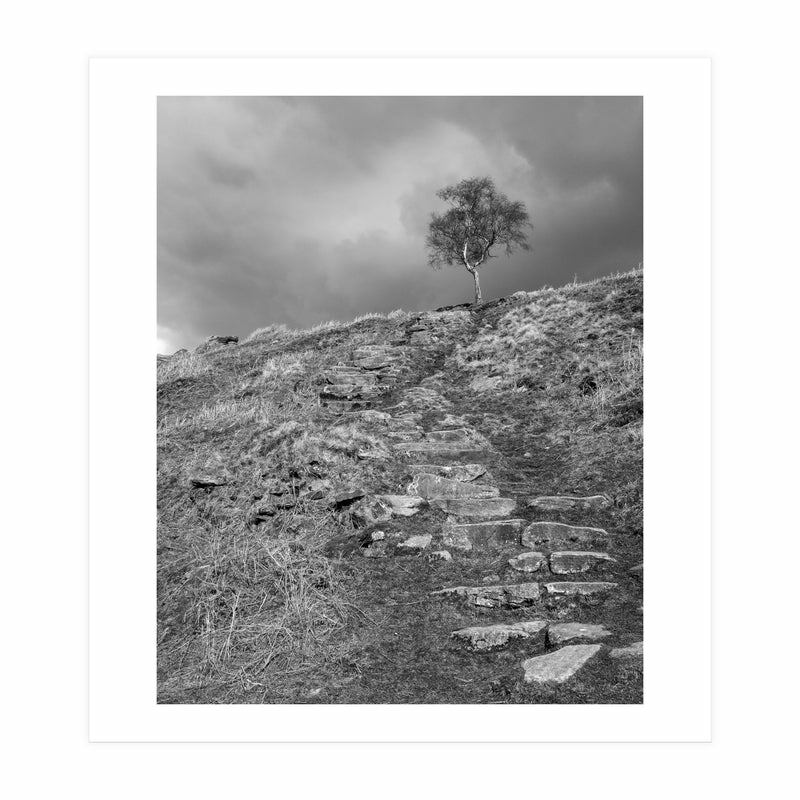 A timeless birch tree at the head of a flight of stone steps under a moody sky. Derbyshire, UK.